Soon we are going to celebrate the anniversary of the new PCI-Express interface (PCI-E). But over more than 9 months of actual sales, PCI-E based products (both video cards and motherboards) didn't manage to conquer even half of the market (its corresponding segments, of course). The demand intensity for new products with AGP interface already begins to decline, but still too many users want to buy exactly AGP video cards. It must be admitted that NVIDIA had a better forecast of the future situation. That's why the company designed an all-purpose HSI bridge from the very beginning. 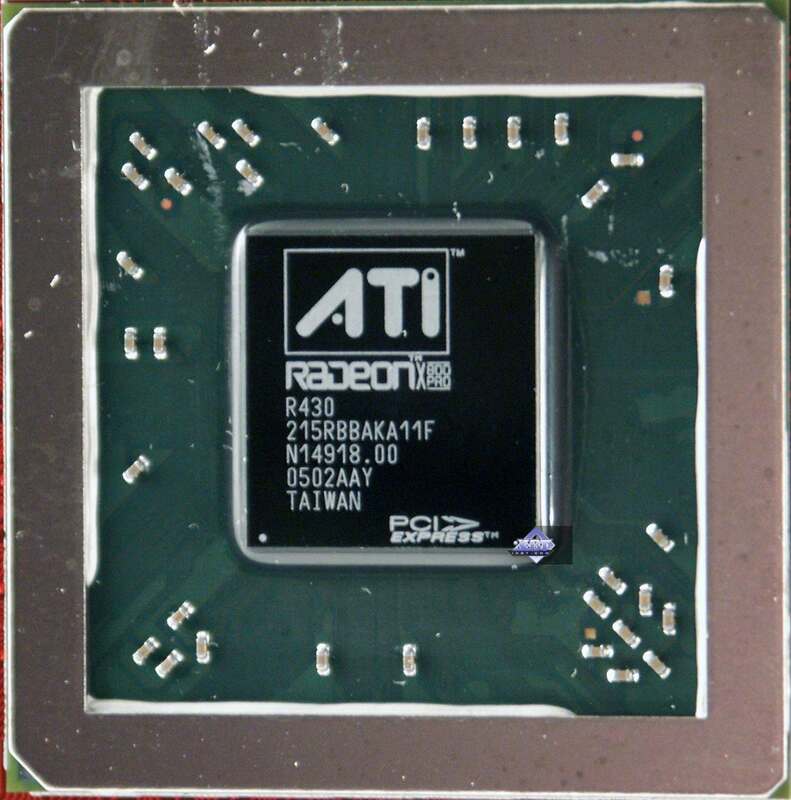 It had been initially used to manufacture video cards with old AGP chips, but equipped with a PCI-E connector. 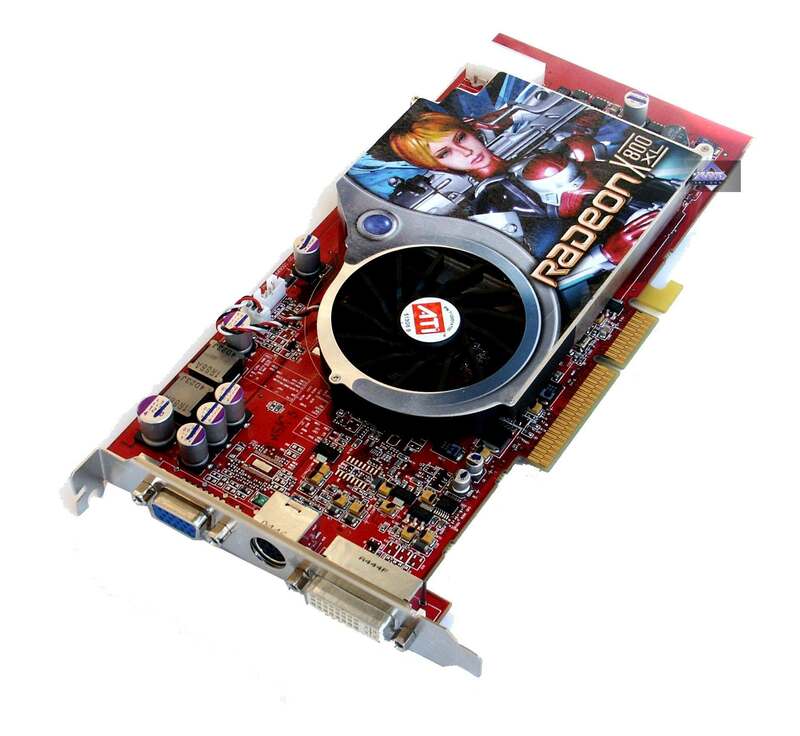 Then, vice versa, it was used to transform more advanced and interesting solutions with a GPU-embedded PCI-E interface into similar AGP products (GeForce 6200/6600/6800). 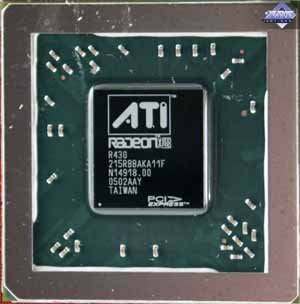 Canadian ATI was late, its experts miscalculated their forecasts, and its RIALTO bridge actually appeared only by the spring 2005, while the peak demand for the new AGP models fell on the end of 2004, when GeForce 6600GT AGP sales were simply fantastic. 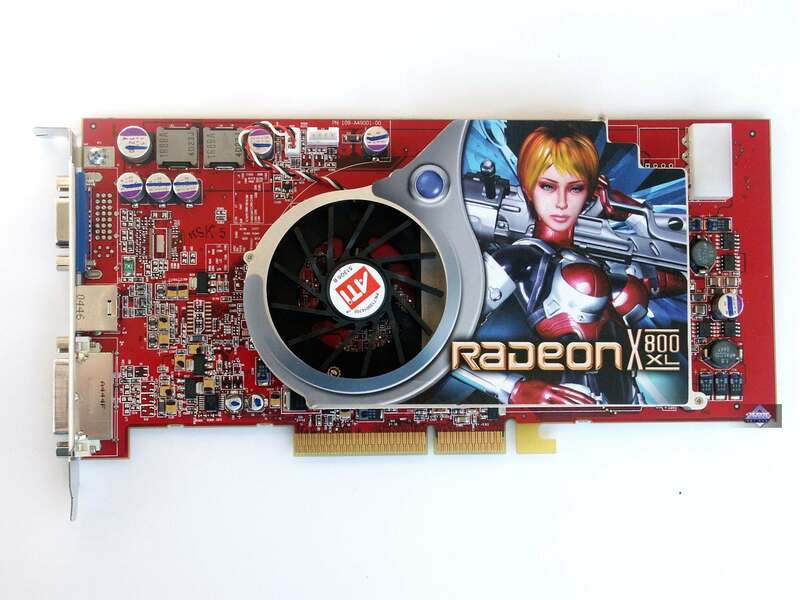 The Canadian company offered nothing but the outdated RADEON 9800 PRO in this market sector. 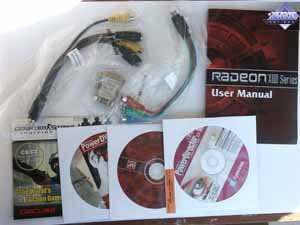 More advanced RADEON X800 PRO was too expensive. Even now it comes at a high price, that's why it just leaves the market. 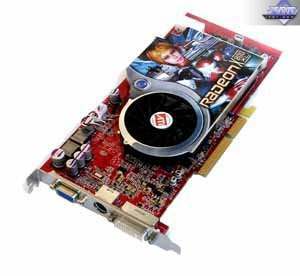 RADEON 9800 competes with GeForce 6600. Pay your attention to the gap between the X800 PRO and the 9800 PRO. It's well known that the price for the former accelerator does not go down, it froze at 400 USD, while the price for the latter is going down very slowly. New products are obviously wanted at the prices between $400 and $200. 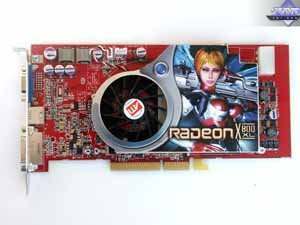 RADEON 9800 (9800 PRO 128bit) also competes with the 6600 or even with the 6200. 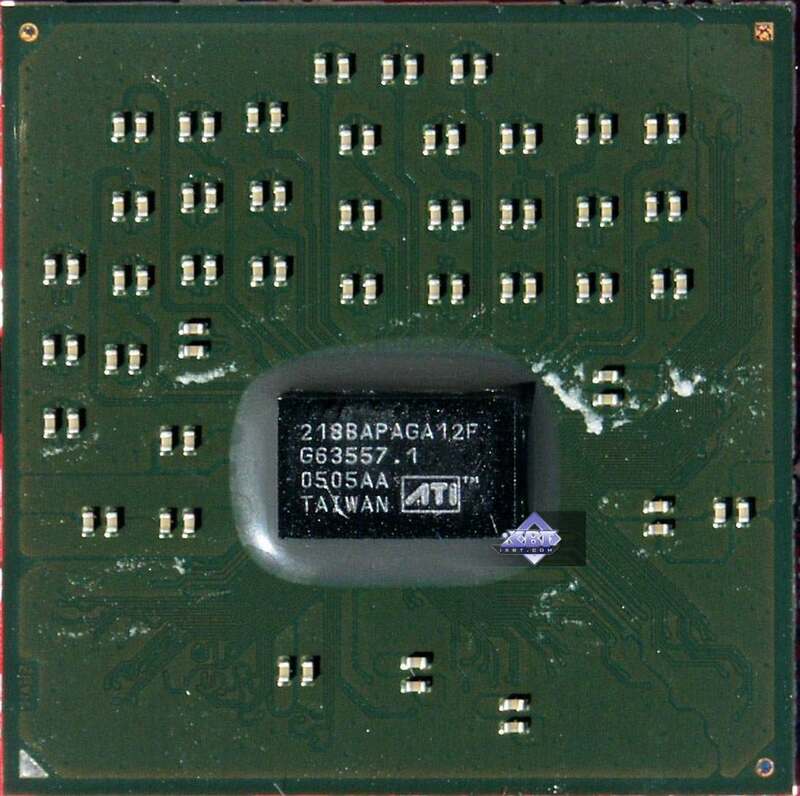 The reasons why the X850 series had different chips for different interfaces, while it was decided to equip the X800 with the same GPU and install a bridge on AGP solutions will be covered in the next article about the X850 AGP. So, we review the X800XL AGP for the second time. 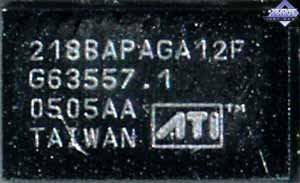 However, I already wrote that such video cards are manufactured on a single plant ordered by ATI, due to their layout complexity, while partners get only finished articles from it. Only labels and stickers will help to distinguish such PowerColor card from GeCube, etc. And the bundle certainly plays its role. Dimensions: 225 x 100 x 16 mm (the last figure is the maximum thickness of a video card). You can see that the card is longer even on the photos above. It should be noted that the PCB dimensions are even larger than in GeForce 6800 Ultra, which used to have the largest PCB among single-core video cards up to now. You should take it into account, if you plan on buying this card and you have a small PC case. In order to avoid damaging the open RIALTO die, a soft heat-conducting material is glued to the chip. 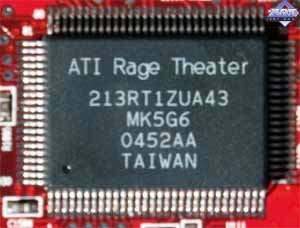 The card is equipped with VIVO, where VideoIn is based on RAGE Theater. Let's review the cooling system. It's a closed-type heatsink with an off-center fan, which drives the air along the heatsink over GPU. The air is sucked in from inside the PC case and is blown out back to it, but it does not diminish the efficiency much, because the heating is not that intense (0.11-micron process technology, and the frequencies are not too high). The heatsink on the core is made of copper alloy. Memory chips on the front side use the same cooler, chips on the back side are cooled with a special plate. A fan inside the cooler is equipped with a tachometer, so the rotational speed changes from 2500 to 5000 rpm depending on the heat. The cards produce no noise at startup. Let's have a look at the X800 XL core. 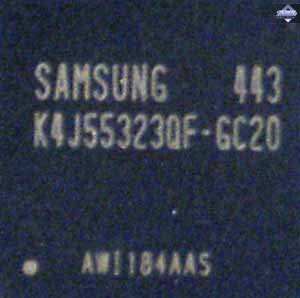 What we see is the same R430, which was for some reason called X800 PRO from the very beginning, though it's a sterling 16-pipe chip. Probably the company wanted to confuse users again (even before the final decision on X800 XL, X800 titles) and called such cards X800 PRO (to have them confused with the 12-pipe AGP counterpart). The bundle contains: User's guide, CD with drivers, software bundle (Cyberlink PowerDVD and the CS:CZ game), DVI-to-d-Sub, HDTV, VIVO adapters. A stylish cover with a box of white thick cardboard inside. The entire bundle is arranged into cardboard sections, so nothing dangles free inside the box. ATI drivers 6.517 (CATALYST 5.3); NVIDIA drivers 71.84. 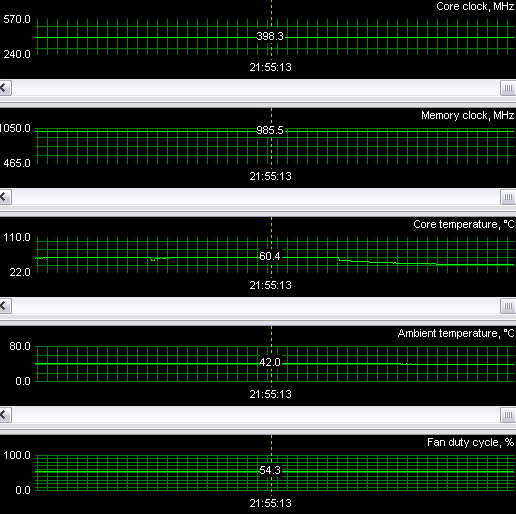 As you can see, everything is within the mark, no overheating problems. We used RivaTuner for monitoring purposes (written by A. Nikolaychuk AKA Unwinder). Tomb Raider: Angel of Darkness v.49 (Core Design/Eldos Software) — DirectX 9.0, Paris5_4 demo. The tests were conducted with the quality set to maximum, only Depth of Fields PS20 was disabled. This test goes by itself, because its load on shader units is heavy, even though it's the oldest among the currently used tests. That's why the difference between the X800 XL AGP and PCI-E is within 4-5% even considering the difference between the platforms. Our conclusion – both cards are practically identical in this test. In other respects, we can see that the X800 XL AGP is the leader by the total score, having outscored even the more expensive 6800GT. It probably has to do with the fact that the pure peak scene fill rate is a tad higher in the X800 XL. As is well known, ATI products are better at calculations, while NVIDIA specializes in texturing, general pipeline performance, and shading. This game requires a great calculating capacity from a GPU. That's why ATI products have a little advantage. The following three tests belong to the same game, but the scenes are quite different, so they give a complex idea of accelerator's performance in this popular game (it's actually the first game with this new graphics level). Taking into account that a processor plays a very important role in this game without additional load of AntiAliasing and Anisotropic Filtering (AA+AF), many powerful video cards are limited by the system resources and thus may demonstrate seeming parity, though nothing depends on a video card already and the final result is unpredictable. But if the cards are loaded with AA+AF, the X800 XL AGP is victorious. Even though the scene is quite different, the CPU being critical still has a strong effect (lots of physics, AI). If you run the game without AA+AF, almost all the results are equal, only the 1600x1200 mode demonstrates some differences. But AA+AF again tip the scale to the ATI products (I also mean video cards from ATI's partners). 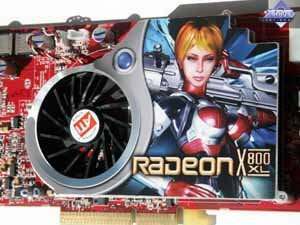 Note that now the leader of the race is the X800 XL PCI-E.
And even the more expensive 6800GT is again outperformed. It's not surprising as ATI drivers have been actively fine-tuned to this game for a long time and probably the Canadian programmers have been more successful than their colleagues from California. Some time ago ATI accelerators used to be outperformed by their competitors in this game. This scene is characterized by vast open space, where the number of polygons may reach 200000. That's why the vertex unit is heavily loaded and the scene is certainly very critical to a CPU. Thus, the performance without AA+AF is again limited by the system resources. That's why all the cards demonstrated approximately equal results. The CPU is so critical to the performance that even activated AA+AF sometimes result only in insignificant performance drop at 1024x768. Everything is the same in other respects, the X800 XL is victorious. 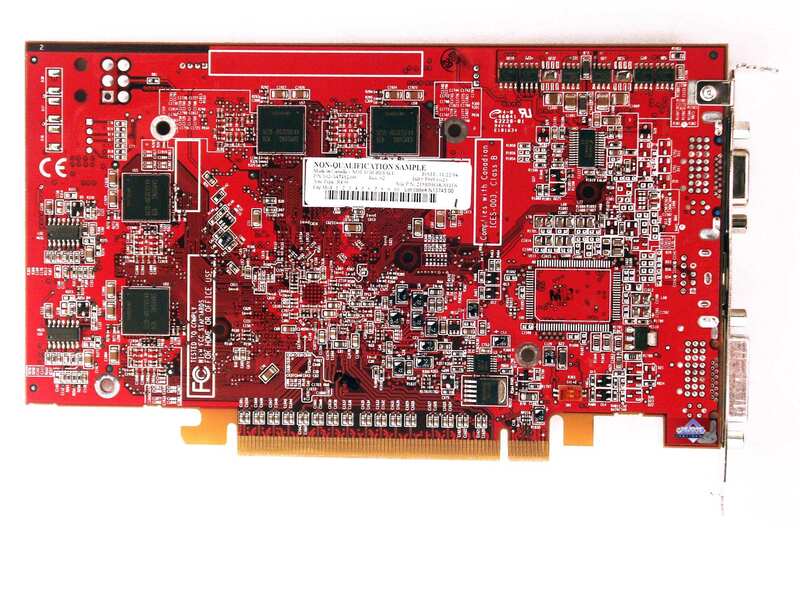 Note that the X800 PRO almost always brings up the rear, so it's high time to dump this card. The next series of tests is also within a single game, but the scenes are different again, demonstrating versatile operations of accelerators. Note that this game is also CPU-critical, so a special attention should be paid to modes with AA+AF, because there is no point in buying such expensive accelerators (above $300) and not using anti-aliasing and anisotropy. Regardless of the fact that the X800 XL AGP still outperforms the X800 PRO and greatly outscores the 6800, the 6800GT has taken over the leadership anyway. It's more expensive though. That's why the X800 XL is generally more advantageous. Even though this scene differs much from the previous, the results are somewhat similar. Anyway, the X800XL is again victorious in this test, and even the more expensive 6800GT is outperformed. Though it should be stressed again that the difference is significant only at 1600x1200 with AA+AF. There is even no point in comparing cards without this load - the performance is limited by the system resources anyway (CPU). It's a similar situation again. As all the three tests at various scenes demonstrate similar relative results, we can say that the X800 XL is generally a HL2 leader in its segment. Like TR:AoD, this game stands by itself. As is well known, it's developed so that NVIDIA products are in the lead due to optimal operations with a stencil buffer as well as with shading technologies in general (though part of shading in DOOM III is up to a CPU). Besides, the pipeline optimization (a famous feature of NVIDIA products) and more flexible and optimal operations with texture caches show themselves to advantage here. So it's not at all surprising that the 6800GT has become a leader and the X800 XL AGP has been outperformed. Though it looks not very bad against the 6800, considering the heavy modes with AA+AF. 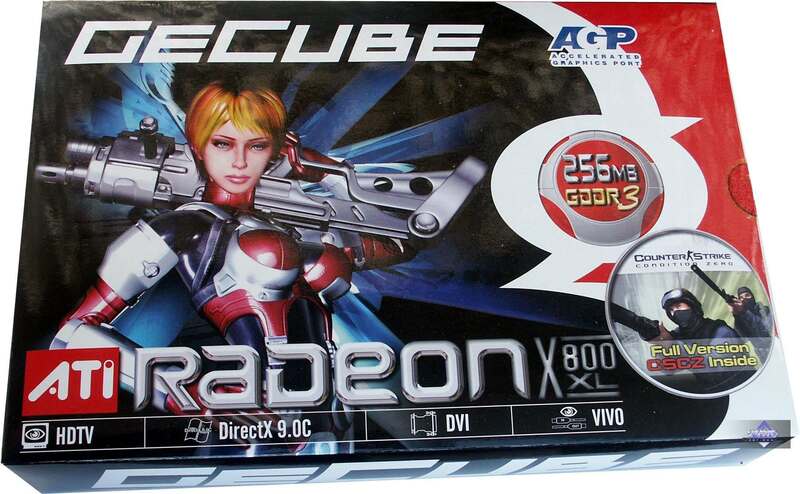 And the new product from GeCube is really excellent compared to the X800 PRO (which is more expensive)! Motley 3DMark results cannot be generalized for all driver versions and test versions themselves, because, as is well known, the best programmers from ATI and NVIDIA are busy with optimizing drivers for this package. That's why each driver or test version may demonstrate a different alignment of forces. What concerns this very test, the X800 XL AGP has lost to the 6800GT, but it has greatly outperformed the 6800 as well as the X800 PRO. And finally, here's the last series of tests with two scenes from the same game, characterizing it in different ways. This game depends less on a CPU than the previous ones; the load on shader units is heavy, but not dominating as in TR:AoD. A great deal of complex texturing, that's why a fine-tuned pipeline is critical. The same applies to the flexible and fine-tuned operations with caches. What concerns this test, the 6800GT is again victorious (it's not surprising, I have already mentioned the texturing optimization requirement). It should be noted though that the platform difference introduced some oscillations of performance delta between the X800 XL AGP and the X800 XL PCI-E.
We can see that X800 XL AGP is heavily outscored by nearly all competitors. What is it? An accident that depends on the test DEMO? Or this game has serious reefs for ATI products? Time will show. But I guess that a more fine-tuned operation of NVIDIA products with texturing, caching, and an optimally configured pipeline will not allow ATI products to shoot forward. 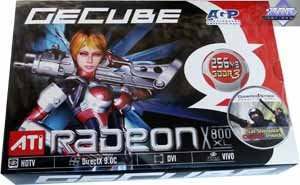 GeCube RADEON X800XL AGP 256MB is an excellent product for its price segment (if there is no artificial rise in prices!). These cards are expected to have a very high popularity (considering that the AGP sector is still very large). What concerns this sample, its operating stability is up to the mark, its quality is very high, 2D picture at 1600x1200@85Hz is sharp.